Experts says Australia’s solar power boom could almost double capacity in a year, Solar farm approvals and record rooftop installations expected to ‘turbo-boost’ production. Australia is betting big on renewable energy and solar companies are taking notice. Rising power costs are causing homeowners and businesses to think seriously about installing PV roofing. The federal STC subsidy provides an incentive and is a driving force in the PV market. People are expressing interest in battery storage alongside a PV roof to store solar energy for future use and want a “complete system”. A record-breaking month of rooftop installations and a flood of large-scale solar farms could almost double Australia’s solar power capacity in a single year, industry analysts say. A massive solar energy boom is being predicted for 2018, after an unprecedented number of industrial solar farms were approved by the New South Wales and Queensland governments last year. A team at the University of New South Wales led by Professor Martin Green worked with a local company to create a highly efficient Solar Energy system that uses mirrors to concentrate sunlight onto a central solar panel to generate electricity. The method is known as concentrator photovoltaic (CPV), and the result is a system with an efficiency of 40 percent, meaning 40 percent of the sunlight hitting the solar panels is converted into energy — the highest such level ever achieved. In New South Wales, the planning minister, Anthony Roberts said the 10 new solar farms would generate 1.2GW of energy and reduce carbon emissions by more than 2.5m tonnes – the equivalent of taking about 800,000 cars off the road. 2017 saw a record 1.25GW of solar power added to the grid nationally, counting both large-scale solar farms and rooftop panels. 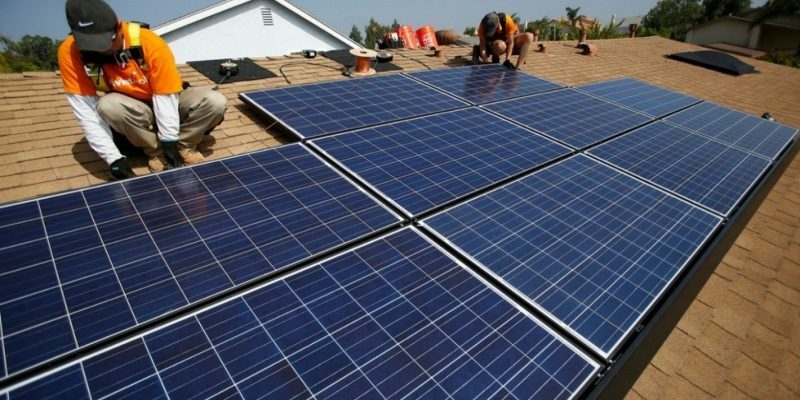 The predicted rate of rooftop panels alone in 2018 is expected to be 1.4GW. In commercial and industrial buildings, you will often find that the main switchboard needs upgrading to connect the solar power into the network. Discuss your switchboard upgrade requirements with Dara Switchboards who will provide a tailor made switchboard solution to suite your site specific requirements.